Gelfenstein Farm’s Sharp Azteca swept past the pacesetting Imperial Hint at the head of the stretch and cruised to a 2 ½-length victory in the 92nd running of the $250,000 Pat Day Mile Presented by LG&E and KU (GIII) for 3-year-olds. Trained by Jorge Navarro and ridden by Edgard Zayas, Sharp Azteca covered the mile on a fast track in 1:34.37. 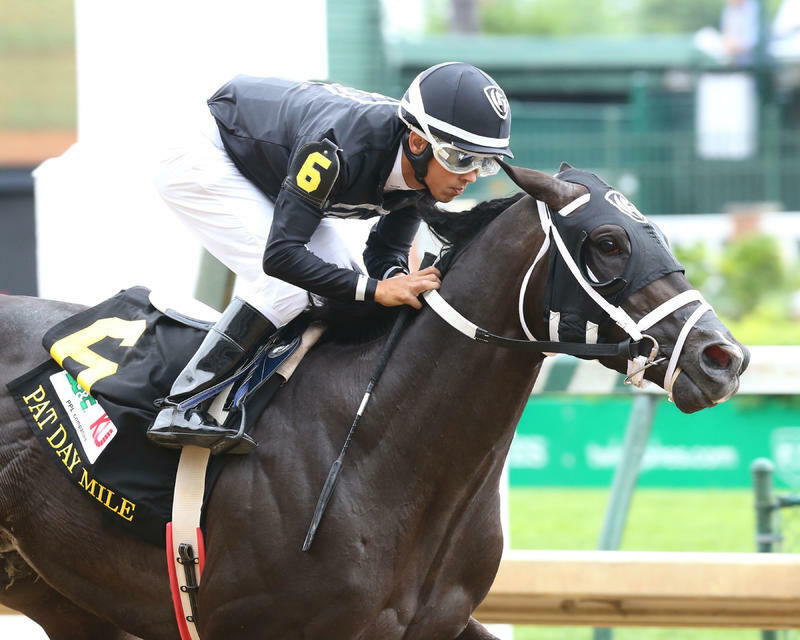 It marked the second graded stakes victory of the afternoon for Navarro, who had won the Churchill Downs (GII) with Catalina Red. Imperial Hint rocketed out of the gate with Sharp Azteca stalking in second through fractions of :22.05 and :44.09. The two leaders maintained their daylight advantage on the field at the head of the stretch when Sharp Azteca spurted clear and never was threatened the rest of the way. 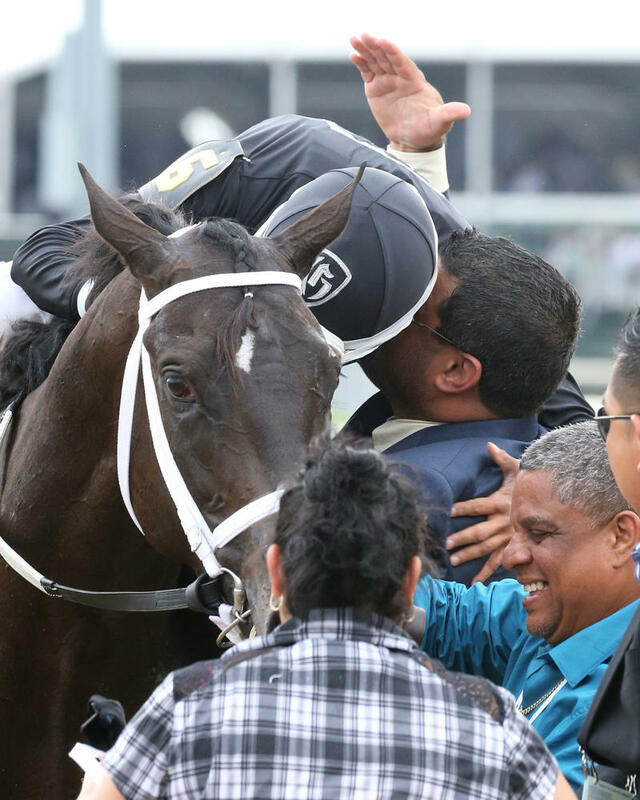 The victory, the first in a stake and the third in a row, was worth $141,050 and raised Sharp Azteca’s earnings to $196,250 with a record of 5-3-1-0. Sharp Azteca is a Kentucky-bred son of Freud out of the Saint Liam mare So Sharp. Sharp Azteca returned $28.20, $13.20 and $9.60. Forevamo, who rallied for second under Florent Geroux, returned $9.20 and $6 with Star Hill finishing two lengths back in third under Corey Lanerie and paying $9.40 to show. It was a half-length back to Fellowship in fourth with Lookin for a Kiss, American Freedom, Unbridled Outlaw, American Dubai, Discreetness, Ralis, Gray Sky, Imperial Hint, Cocked and Loaded and Torrontes following in order. Edgard Zayas (rider of Sharp Azteca, winner) – "I was little worried. There was one horse (Imperial Hunt) that has a lot speed and my horse has a lot speed. I just wanted to break and sit in a stalking position. At the three-eighths, I wanted to attack early because that horse is undefeated. Once I got to the front, I knew they were going to have to be running to catch me. My horse just kept running and running." Jorge Navarro (trainer of Sharp Azteca, winner) – "I thought this horse was the bet of the day. I think this horse is one of the best 3-year-olds in the nation. The horse had some issues and we gave him some time off. We took a chance in here. He worked in :58 last week and the way he did it was just amazing. This horse will run all day." "Once I get home, everything will hit."